Barcelona coach Ernesto Valverde’s decision to leave Malcom out of his squad to face Eibar has not gone down well with many supporters. The Catalan giants will be looking to bounce back after losing to Levante in the Copa del Rey in midweek, while Atletico Madrid cut the gap at the top of the La Liga table to just two points earlier on Sunday. In turn, the pressure is on Barca to respond with a win of their own and so with that in mind, Valverde has unsurprisingly selected a strong squad. However, there was no place for Malcom again, as the 21-year-old has been restricted to just 10 appearances so far this season, while The Telegraph note that the Brazilian ace has been linked with being part of a swap deal for Chelsea’s Willian. The fact that he hasn’t even been able to make the cut for the match-day squad doesn’t particularly reflect well on his future, and as noted in the tweets below, many Barcelona fans have been left fuming with the snub. It could be argued that Malcom simply hasn’t done enough when given an opportunity this season, although to counter that, he hasn’t had a consistent run in the team to build any momentum. 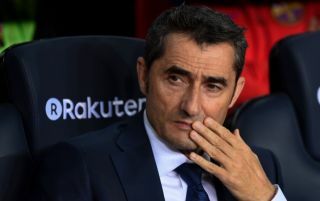 Time will tell if a January exit does materialise, but with Valverde snubbing him from his squad this weekend, and not for the first time this season, it does raise doubts over whether or not he has a future at the Nou Camp, or at least a prominent role under the current boss. Malcom?? Valverde wtf is this ??? Malcom deserves a fair chance, he hasn’t got any! It’s not fair. Where is malcom?. Barca should not destroy his carrier pls..